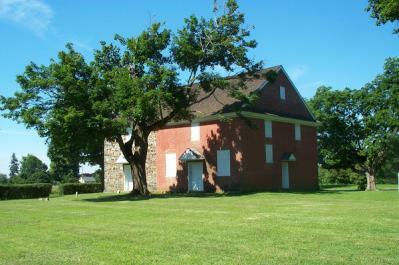 East Nottingham was established in 1705 by Concord Monthly, but by 1715 it had requested to become a member of Newark Monthly meeting due to the difficulties in reching Concord in bad weather. By 1718, it was part of the newly formed New Garden Monthly meeting, and in 1730, became part of Nottingham Monthly when that meeting was created. The meetinghouse is still in use twice a month by the modern Nottingham NMonthyl meeting, based out of Oxford.